The following is a guest post from Ethan Rockford of Readies. Financial inspiration can be hard to maintain. On one hand, bills are enough incentive to keep you working and earning a paycheck. Yet, at the same time, it is easy to feel as though you’ve settled-in to a financial rut. Is your income lagging behind contemporaries? Do repayment obligations strain your monthly budget? Are you facing credit limitations, due to an unsteady history managing money? If you answered yes to any of these questions, it may be time to undergo a financial makeover. Financial fortunes ebb and flow, so grappling with occasional slowdowns is a normal aspect of personal financial management. Persistent money problems, on the other hand, need attention, before you lock-in to an unbreakable cycle. If your family finances show room for improvement, use these tips to improve your financial outlook. Surveys consistently illustrate a cash flow pattern experienced by families living on the financial edge. Time and again, as many as a quarter of survey respondents indicate they are just “getting by”. And while cost-cutting measures can help cash strapped families get back on track, increasing income is a sure-fire way to balance your household cash flow. Creative money-making solutions can help bolster your household cash flow, but conventional opportunities are also available. Use the following strategies to generate extra income. Work a Side Job – When the money you earn working your primary job falls short of household spending obligations, part-time side-work can make a difference. Seasonal selling jobs, for instance, present opportunities to make money during the holiday season, as a temporary retail staffer. And mild summer months may offer positions as a golf starter, house painter, or landscaper. Start a Business – Much like taking-on extra employment, starting a business can boost your income. Start-up costs aside, some self-inspired ventures furnish fast returns. With proper planning; your entrepreneurial effort may be just the source of added income you need. For the best results, start with a well-conceived business plan, accounting for the cost of getting off the ground. And unless you can devote yourself full-time, stick to a familiar business you can easily manage alongside your day job. Learn New Job Skills – Salaries are tied to skills, so expanding your knowledge and abilities may help boost your earning power. Even without changing employers, it may be possible to advance your income and job stature by learning another job or expanding your present responsibilities. Work closely with your supervisor or human resources representative, exploring opportunities for higher pay. No New Debt – Too often, chiseling down a high debt burden is complicated by new, added credit obligations. As you make positive strides reducing your overall debt load, freeze credit card use and don’t add to the problem with ill-advised purchases. Debt Consolidation – Depending upon the type and extent of your debt, consolidation may result in lower monthly payments. High-interest credit card balances, for instance, can be paid-off with a consolidation loan, which is then paid-back at a lower rate. Ignore Monthly Minimum Payments – Credit card accounts call for a minimum monthly payment, which satisfies your repayment obligation until the end of the next billing cycle. However, sticking to monthly minimums does not address your principle balance, so your debt continues to grow – even as you send payments. To have a meaningful impact reducing your outstanding debt, it is essential to pay beyond the requested monthly minimum. Your credit score is more than a number. 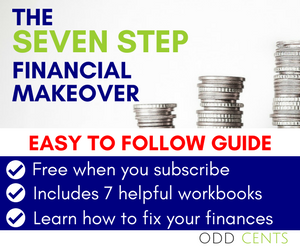 The designation condenses your entire financial history, giving creditors a glimpse into your habits managing money. A solid set of references puts lenders at ease, opening doors to financing. A shaky history, on the other hand, increases risk and makes it harder to secure approval. Whether you’re setting up phone service or taking-on a mortgage, your positive credit rating ensures access to the best rates and terms. Boosting your credit score can have a significant impact on your personal finances, giving you access to funding and services. Successful credit outcomes have the greatest affect, so effectively managing a credit card or instalment loan helps bolster your record. If necessary, a guarantor loan, taken with a cosigner, can be used to build a history of prompt repayment. Competitive loan rates can be found online and with the help of a friend or family members, you can start building credit with timely payments. Your credit score is based on a number of financial factors, including the types and scope of the credit you currently use. When building a better rating is a concern, look at the credit reporting data provided with your free annual credit report. Do you have too many accounts? Are outstanding balances too high? Answers to these and other questions about your finances are found on your credit report, enabling you to improve your credit rating, by making adjustments. Finding financial balance may require additional income or personal debt reduction. But once you’ve found credit discipline and cash flow equilibrium, your finances can improve, giving you a positive financial outlook. Do you know of any other ways to improve your financial outlook? Tell me about them in the comments section. Follow Odd Cents on Instagram and Readies on Facebook to join discussions on hot topics.